*This Flashlight Generates incredibly high Lumen Outputs Per Cubic Centimeter of Space. 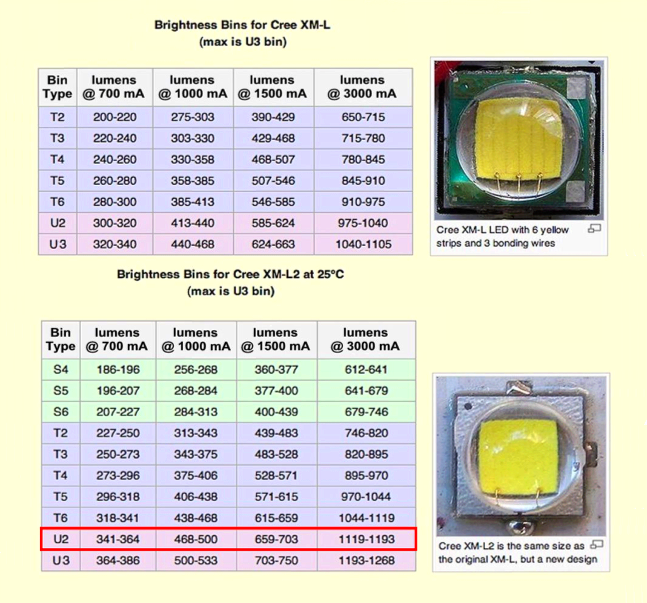 The maximum possible lumen output of a CREE XML2 T-6 LED EMITTER is 1100 lumens. 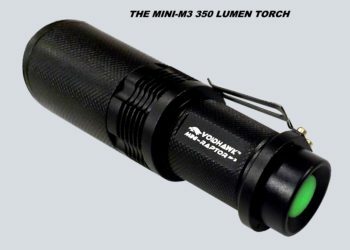 Don't fall for lights that claim high lumens but don't provide the Amperage to produce it! 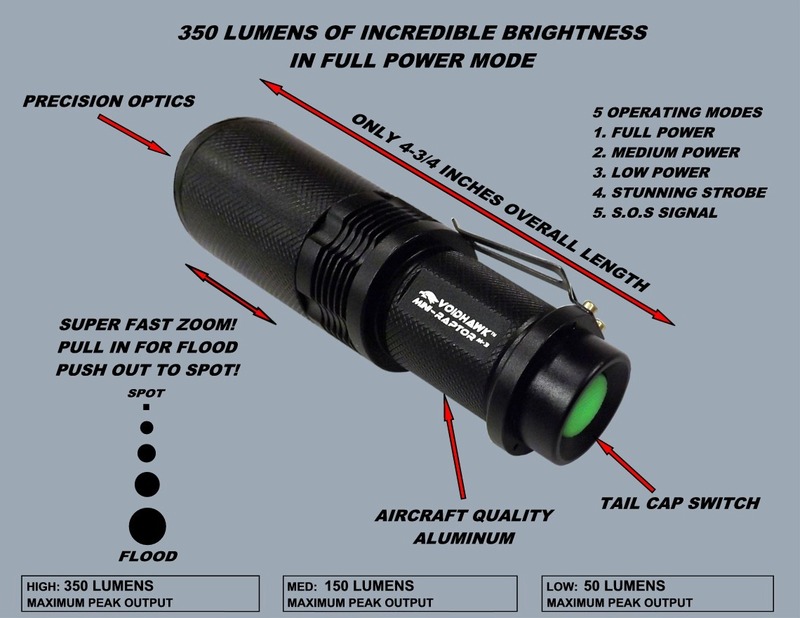 Voidhawk Flashlights use genuine CREE® High Power Digital LED emitters driven by high quality, modern control circuit boards that utilize sophisticated booster circuitry to multiply the voltage of your batteries, and the brightness of the flashlight. 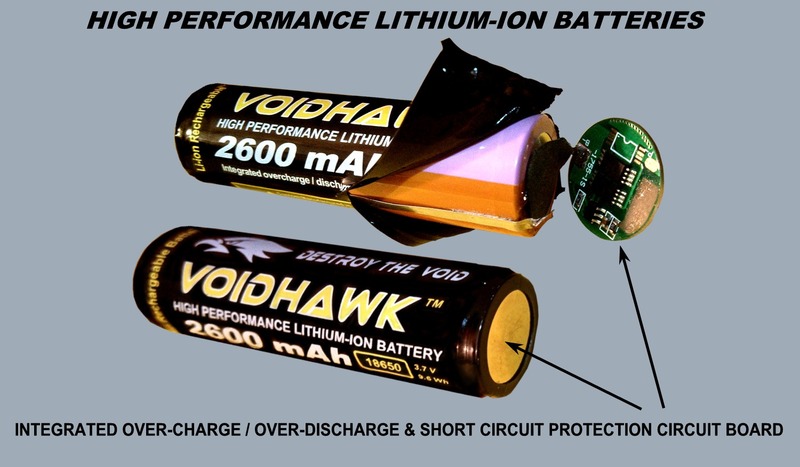 When you buy Genuine Voidhawk™ Brand Batteries you can be sure you're going to get brand new factory fresh high performance power cells labeled with a TRUE mAh rating delivering you over 800 recharge cycles per cell.